Kenneth Branagh portrays Henning Mankell's Swedish detective Kurt Wallander in three episodes from the BBC series' second season. 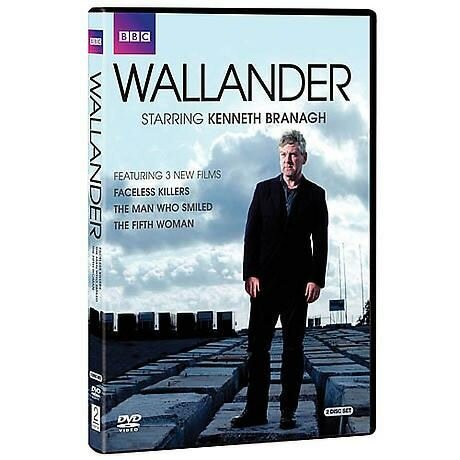 In Faceless Killers, Wallander investigates the murders of an elderly farm couple near Ystad, but when the wife's dying words are leaked to the public, spawning racist reprisals, Wallander begins to lose hope of ever solving the case. Plus The Man Who Smiled and The Fifth Woman. 270 minutes, DVD.